From what I and some of my fellow review appraisers have seen, some misunderstandings remain about excess and surplus land. One problem we run into is a failure to identify the existence of surplus or excess land. It is easy to move machine-like through appraisal assignments, doing all the various tasks needed to get each report out the door on time. So I preface this discussion with a quick checklist to ensure that your subject property has neither surplus nor excess land. First, examine the survey or plat for any unimproved areas. Second, walk the entire site at time of the inspection to verify that it fully allocated to site and building usage. Finally, check the subject’s land-to-building ratio against those of the comparable sales. If none of these checks determine any abnormalities then surplus or excess land is not an issue for the valuation assignment. Sometimes the terms “surplus land” and “excess land” are used interchangeably. However, the definitions make it clear that there is one large difference between the two. 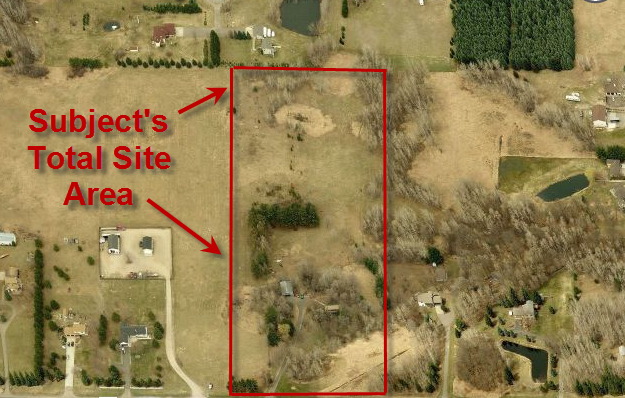 Excess land must always be “valued separately” from the improved portion of the site. Surplus land “may or may not contribute value to the improved parcel” but is not valued separately therefrom. 1) It has sufficient size, shape, and accessibility to be partitioned into a marketable parcel. 3) There must be a market for the unused land if separately partitioned. In a depressed or declining market, vacant land is the first property type to lose its marketability altogether. Thus, there may be times when excess land becomes surplus land due to a dearth of demand. Surplus land, on the other hand, is never valued separate from the developed portion of the site. 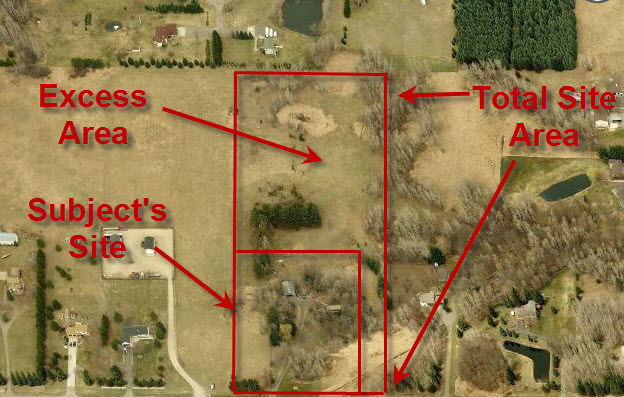 Examples of surplus land may be landlocked rear acreage or the portions of an irregularly shaped site that have limited development utility. As the definition states, there may be times that the extra land will be recognized by the market. That is often the case with industrial properties whose owners and tenants can find yard storage useful. When dealing with surplus land, one of the appraiser’s tasks will be to determine if the market places any value on larger land sizes. It is tempting to make an adjustment for what is a perceived benefit. However, there are some benefits that the market will not pay for. Determining if the market will pay more for a property with surplus land than one with a smaller site is the final step in this process. As surplus land cannot be separately valued, any such recognition of value impact must be incorporated in the sales comparison approach adjustment grid.